Hey there! 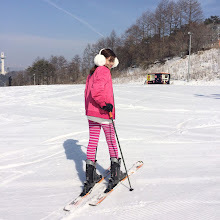 It's been months since I last visited and wrote a post on my blog. 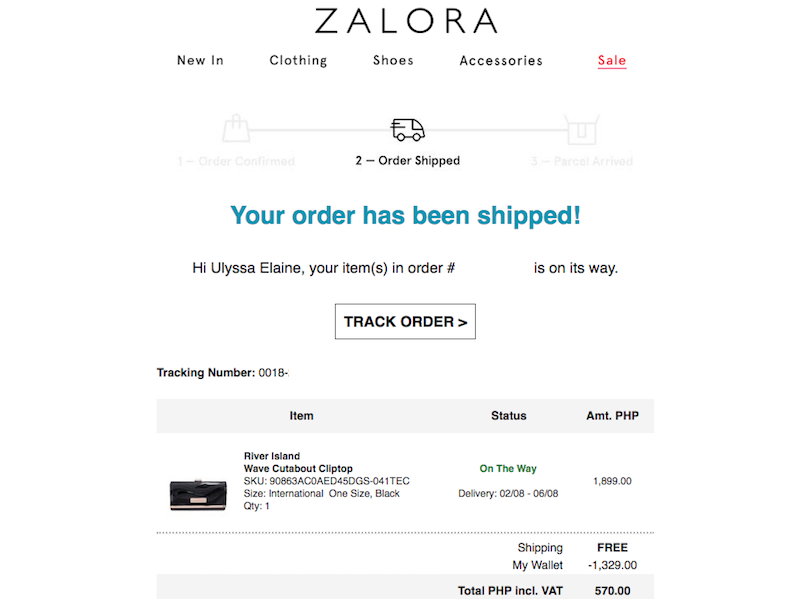 I would like to share my first and second purchase from Zalora PH. 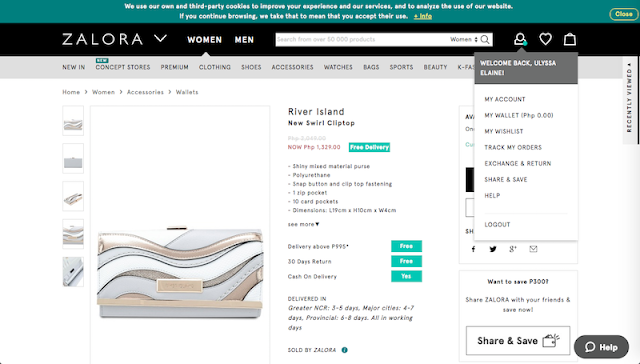 Last month, I was eyeing for a River Island wallet. After a series of browsing, I finally added the item to cart and purchased this wallet last July 9, 2018. 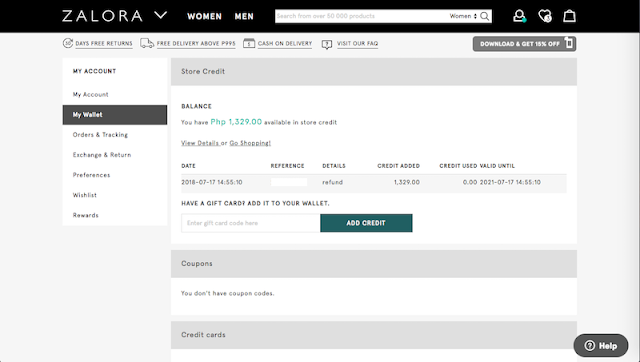 From Php 2,049, it was reduced to Php 1,329. Not bad, right? By the way, I used the Cash On Delivery payment option so I can't share the credit card payment process. 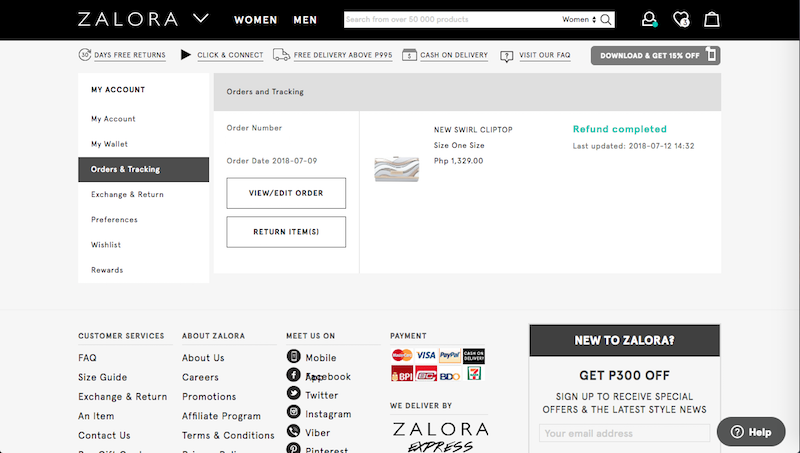 The Zalora PH website is neat and user-friendly. 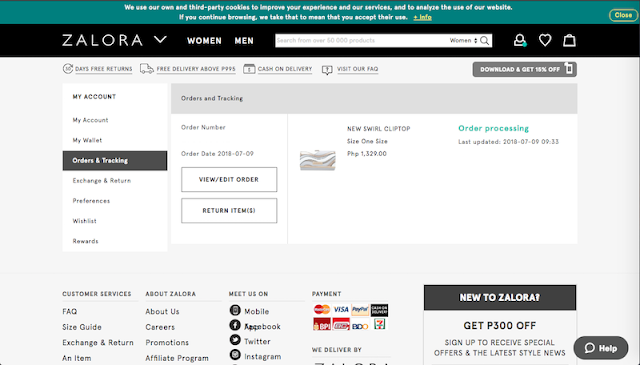 The ordering and purchasing process were very smooth. After 2 days, I checked the website and my item was already shipped. It's fast and efficient given the fact that it was imported from abroad. The only thing that I noticed from their site was there's a bug on the date for "Out For Delivery" status. Nonetheless, the date and time on the tracking history were detailed and exact. 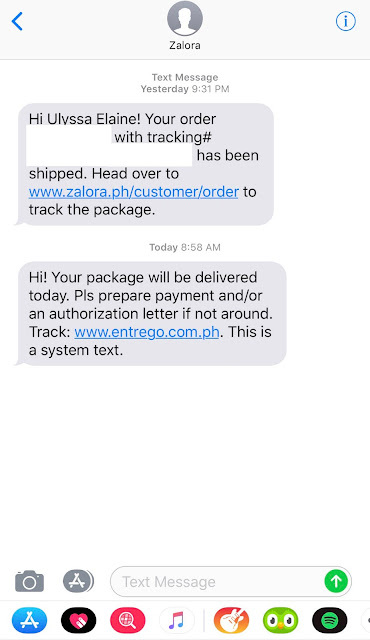 I also received text messages regarding the status of my purchased item. Three days after I purchased the item, July 12, 2018, the item was delivered on my address. I was broken-hearted. I felt that my money was robbed. 😭 Yes, I love the wallet so much but I don't think I can use it anymore. 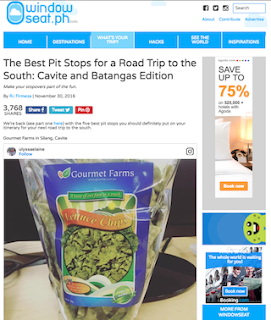 Call their customer service at (02) 858-0777 (Monday to Friday: 9am-6pm, Saturday: 10am-5pm). 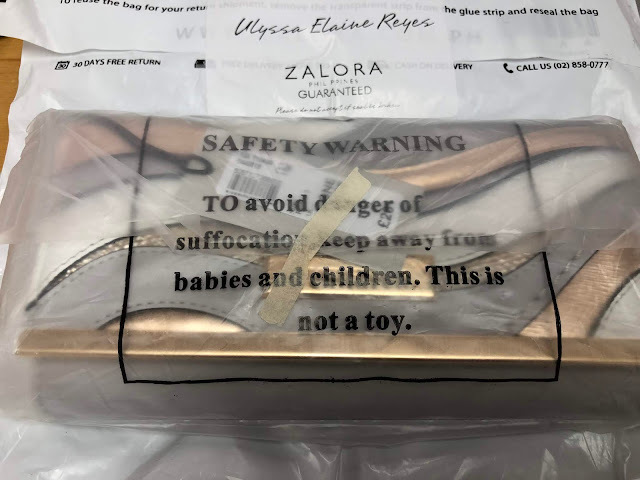 I did the latter one because for sure, if I contacted the customer service, they will also require to submit a photo or a video of the defective item. 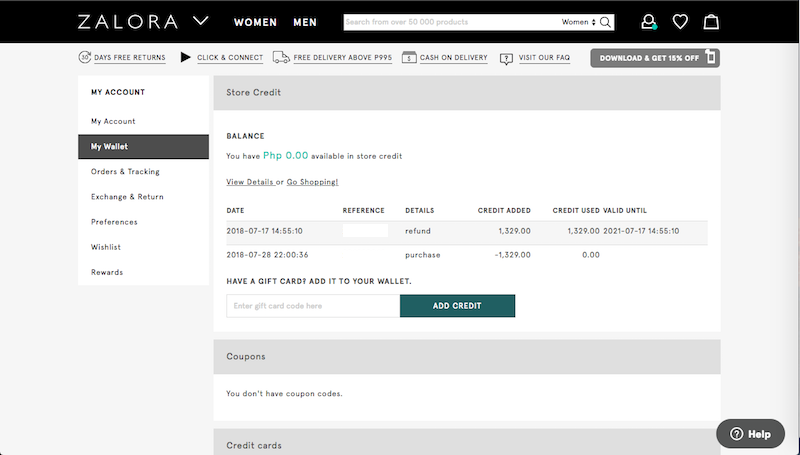 You can also check their step-by-step guide on how to use the online exchange and refund/return feature on this link. 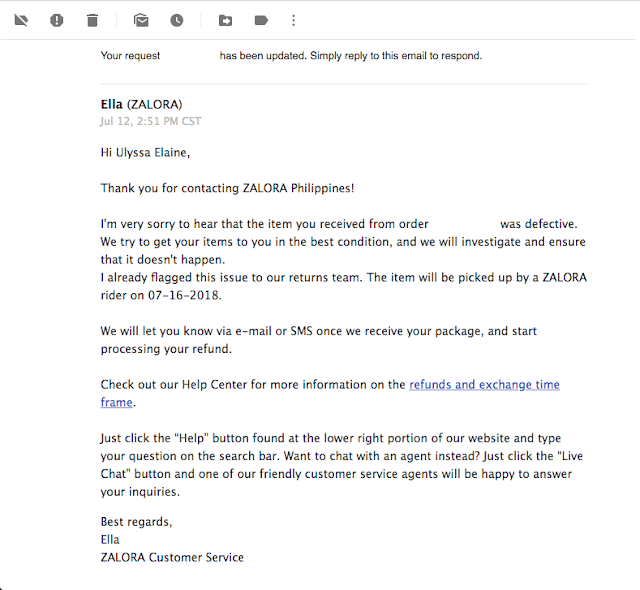 After a few minutes, the customer representative replied. 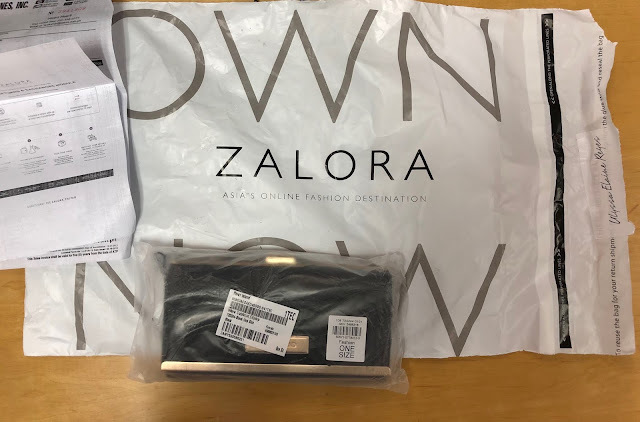 After I returned the item last July 16, 2018, the next day I received my refund via Zalora wallet credit. 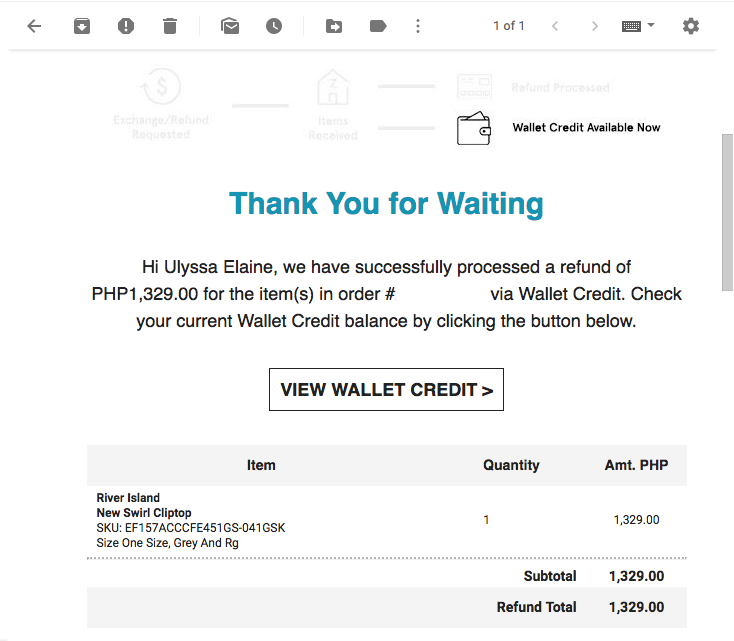 Overall, the return and refund process were also smooth. I salute also the prompt response from their customer representative. 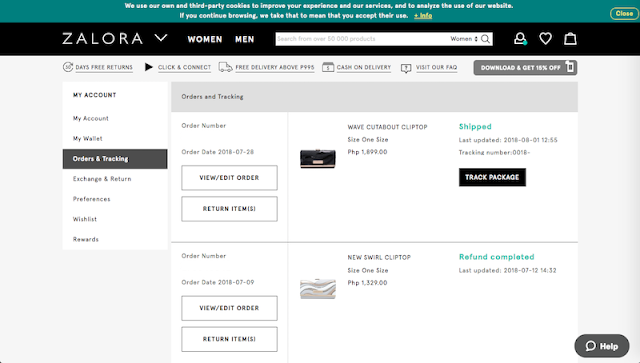 July 9, 2018 - Purchased an item. 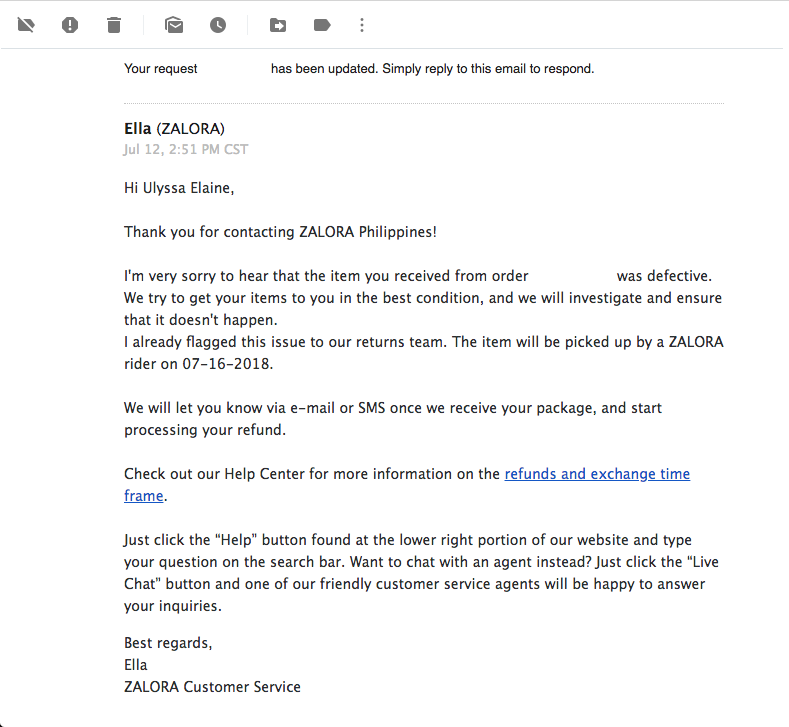 July 11, 2018 - Item was shipped. July 12, 2018 - Item was delivered but it was defective. 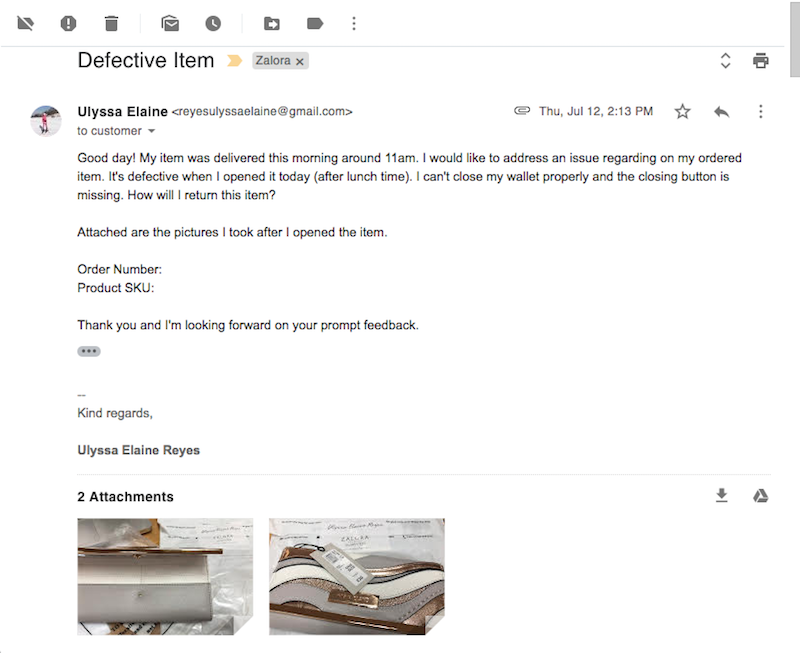 July 12, 2018 - Dropped an e-mail about the defective item. 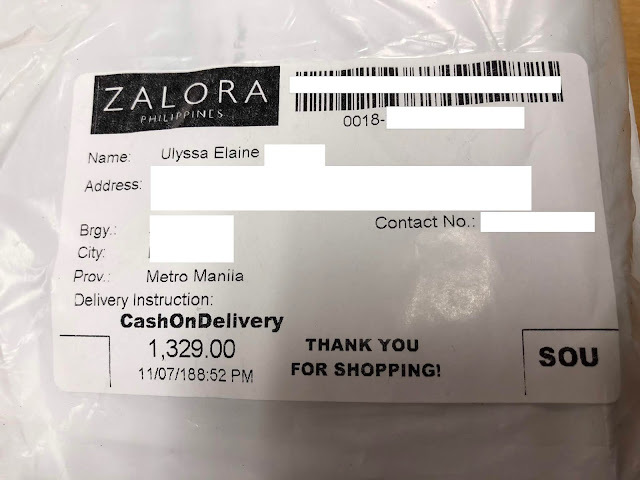 They tagged the item as defective and scheduled their rider to pick-up the item on July 16, 2018. July 16, 2018 - The defective item was returned. 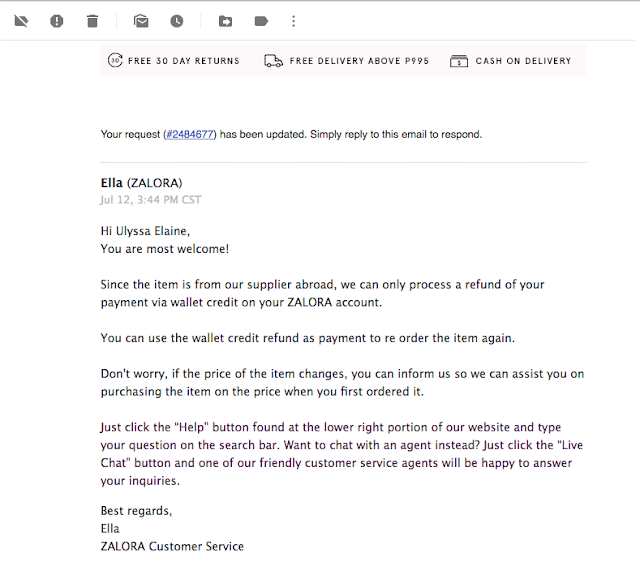 July 17, 2018 - Received the refund in form of Zalora wallet credit. Overall, the process was smooth. Unfortunately, the only problem that I had was the defective item. What I did next was I checked the item on the site. 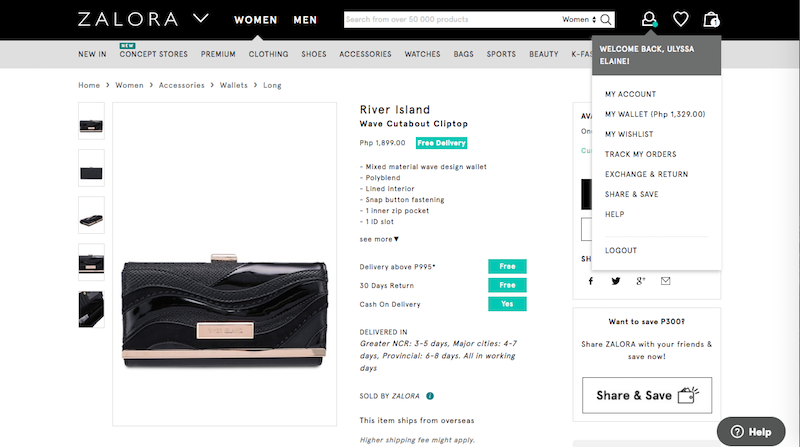 But... 😭 The item was no longer available. I waited for a few days but there's really no stock available for that PRECIOUS wallet. 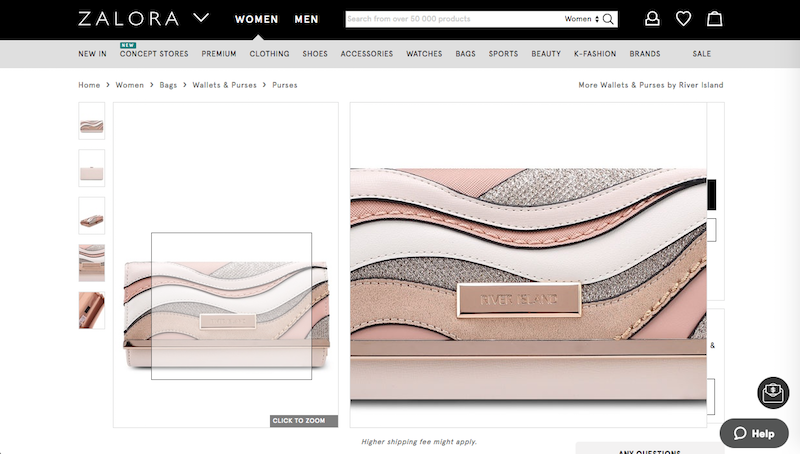 After browsing for a few days, I saw the exact design of the River Island wallet that I want but the only colors available were black and pink. I want the pink one but it's feminine and catchy. But, I don't want to get robbed in the streets because I have a gorgeous wallet. 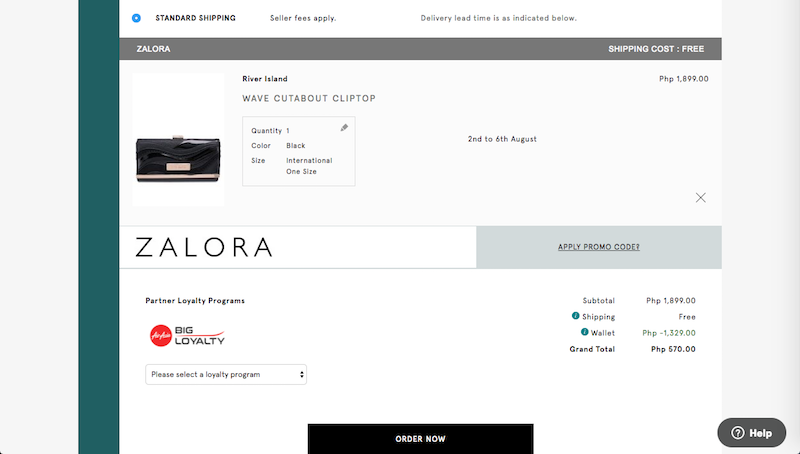 So I chose the other one, which is black. It is simple and sophisticated one. 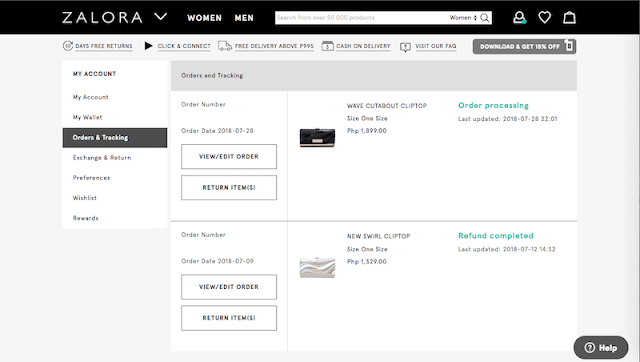 The price was a bit higher than my previous purchase but it's okay. I really want to own a River Island wallet though. 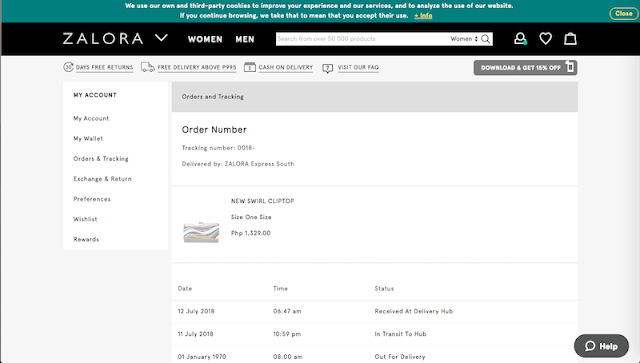 I also used the Cash On Delivery payment option for this one. 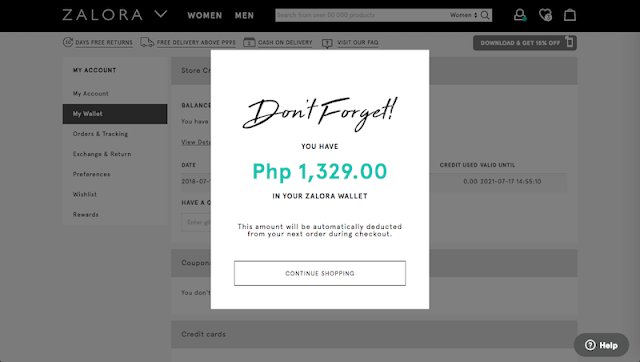 The Zalora wallet credit automatically deducted the final price so I only paid Php 570. 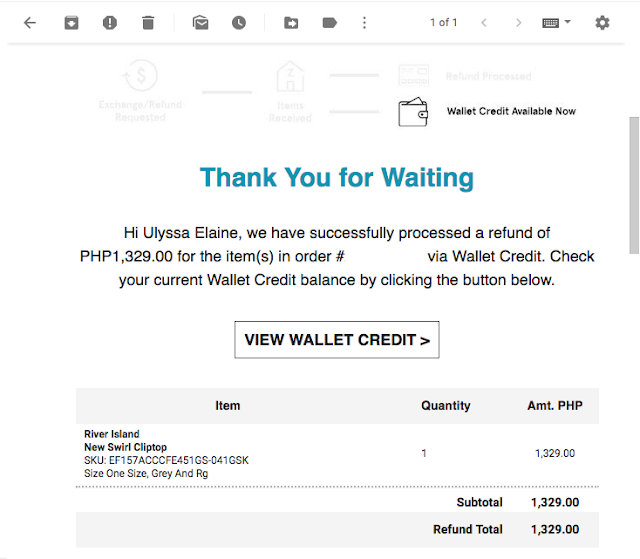 I purchased the product on July 28, 2018, Saturday. 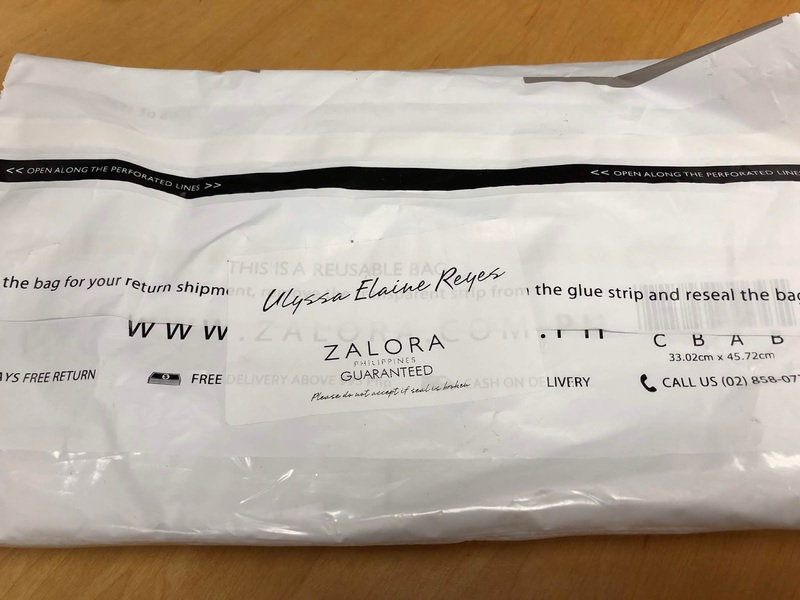 The order was processed and shipped after 4 days. I expected that the process will only take 2 days just like the first one. It was longer than I expected. But it's okay. 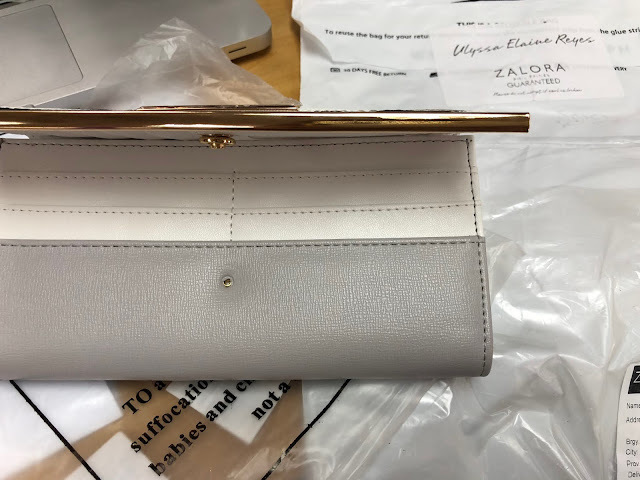 Last August 1, 2018, I received the item in a good condition except for the hairline scratches on the gold tone hardware. 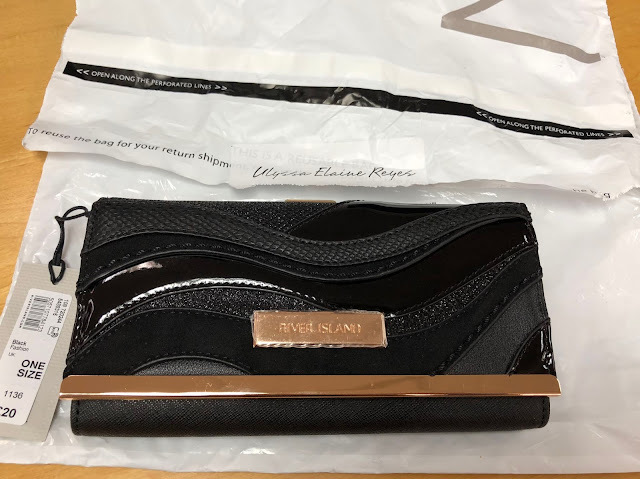 July 28, 2018 - Purchased an item. 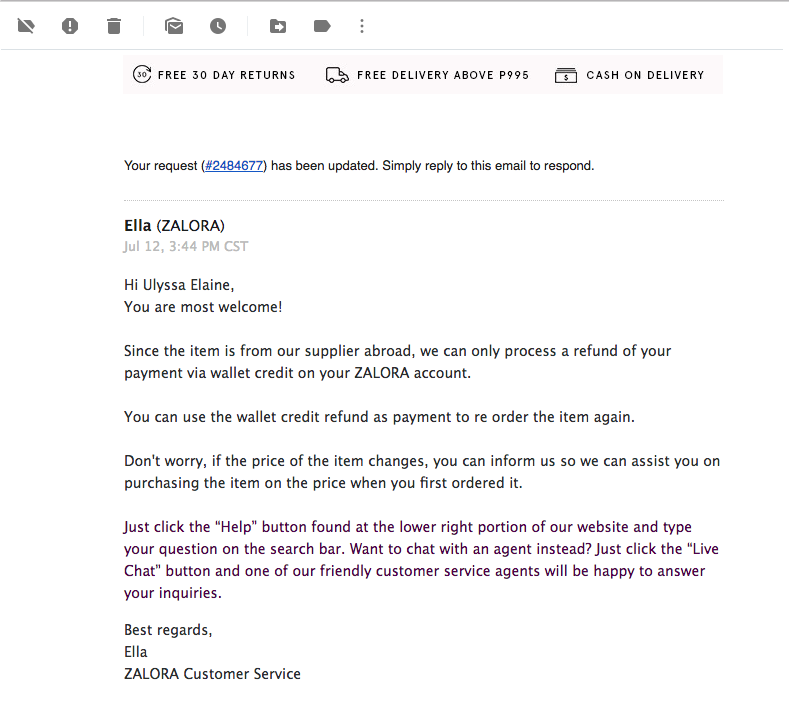 Zalora credit was deducted from my account. 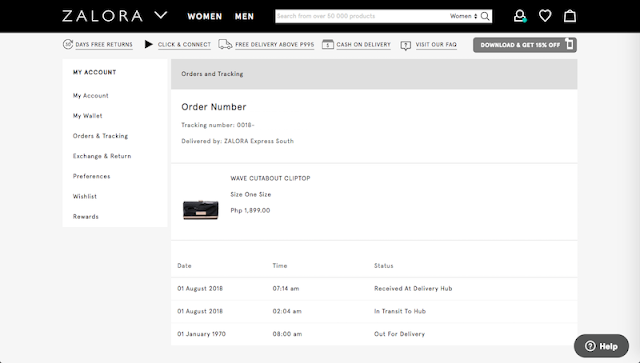 August 1, 2018 - Item was shipped. August 1, 2018 - Item was delivered. It's funny that I encountered this long scenario. 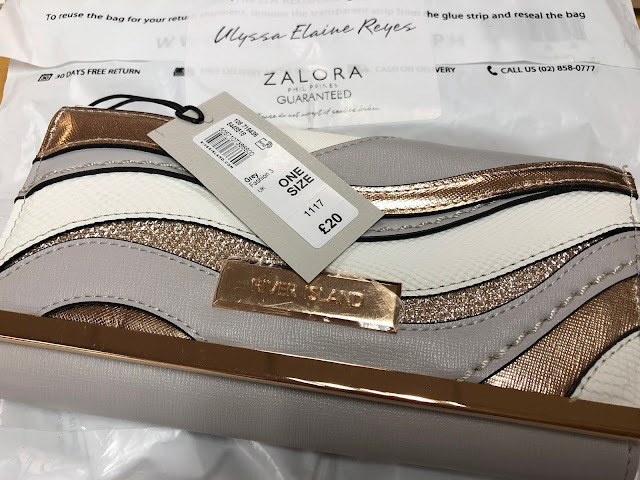 Sorry if this review is a bit long. 😅 Salute to Zalora PH for their prompt and friendly customer representative. I also love their smooth order, purchase, payment, delivery and return process. 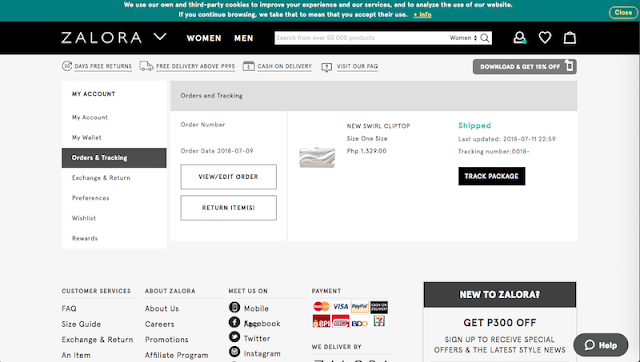 I'm looking forward for my next purchase to them. How about you? Have you purchased? How was your experience? Share it down below. Thanks.